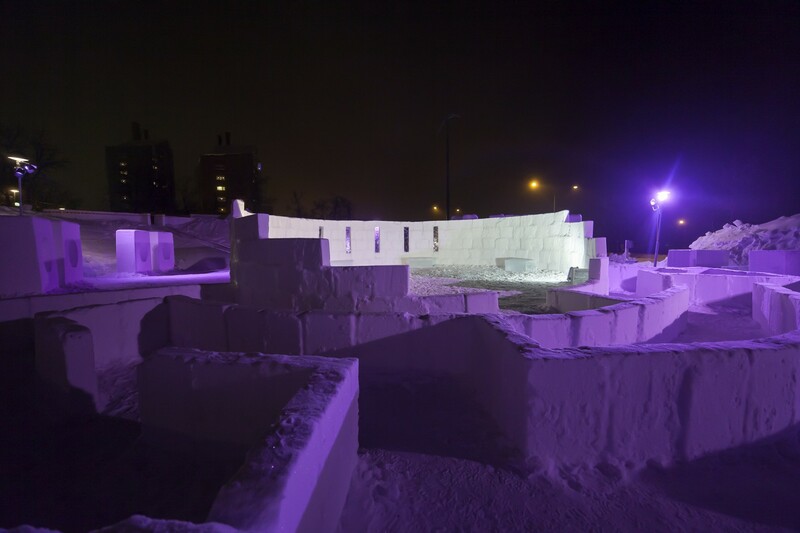 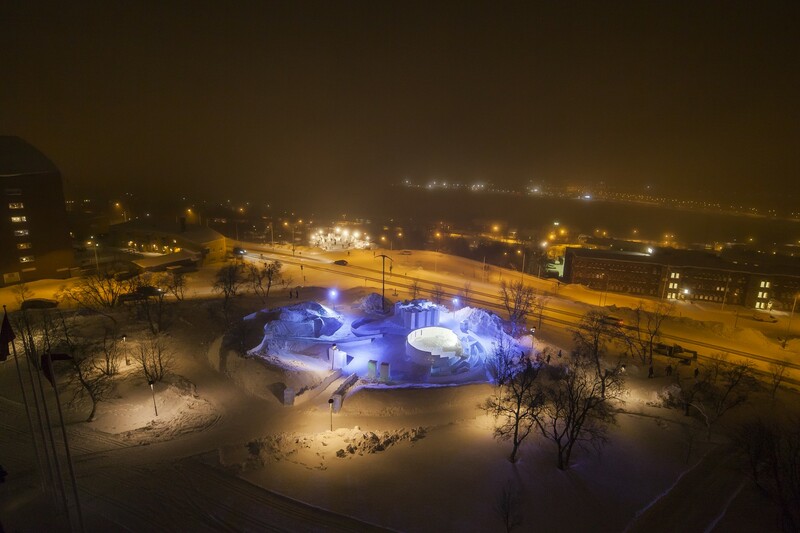 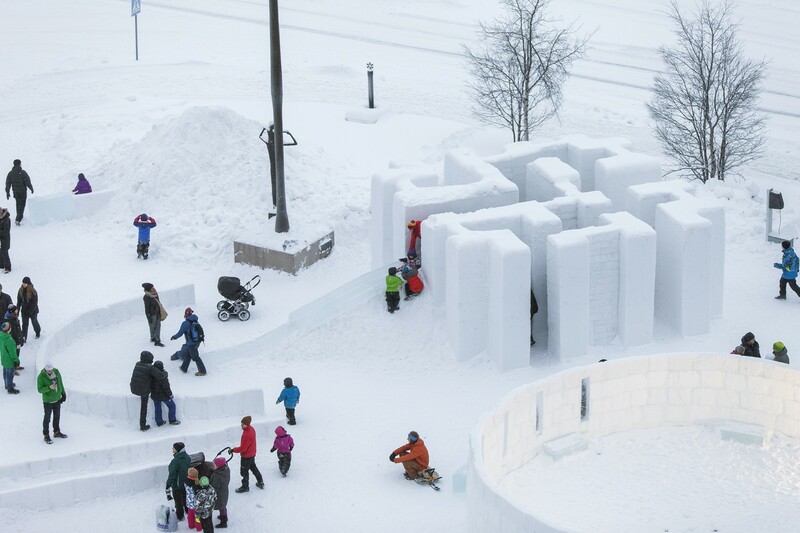 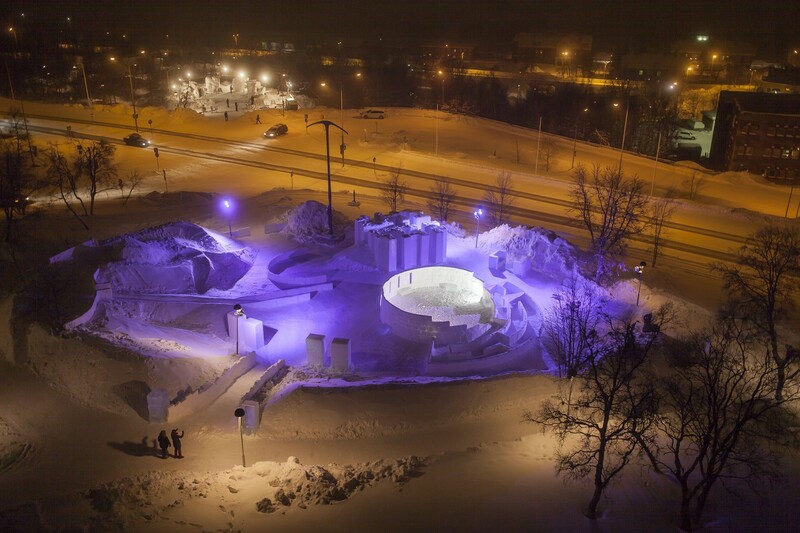 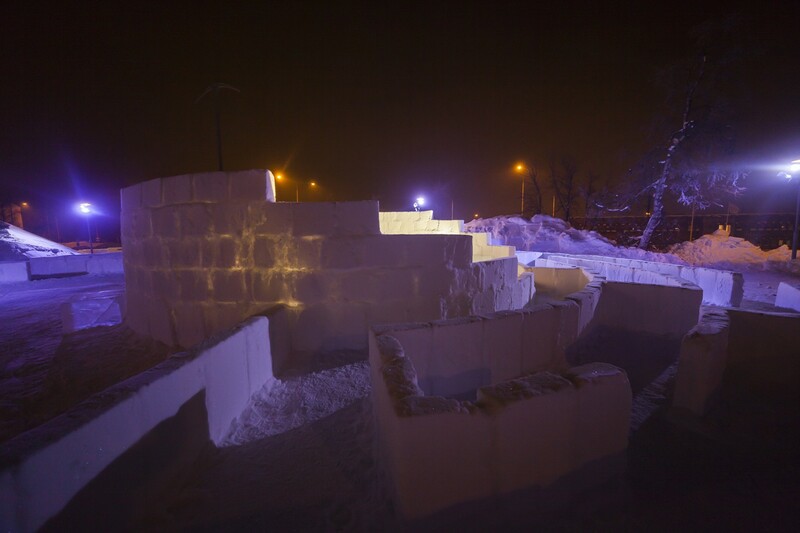 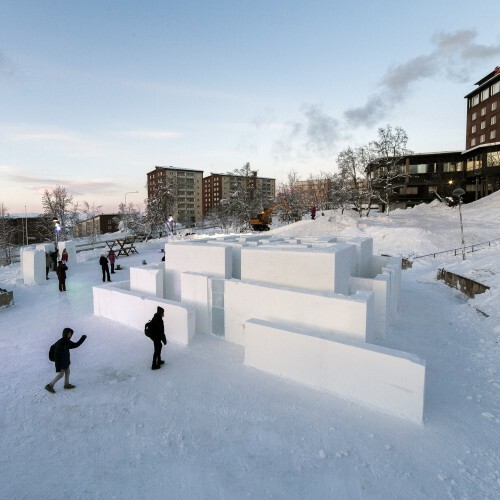 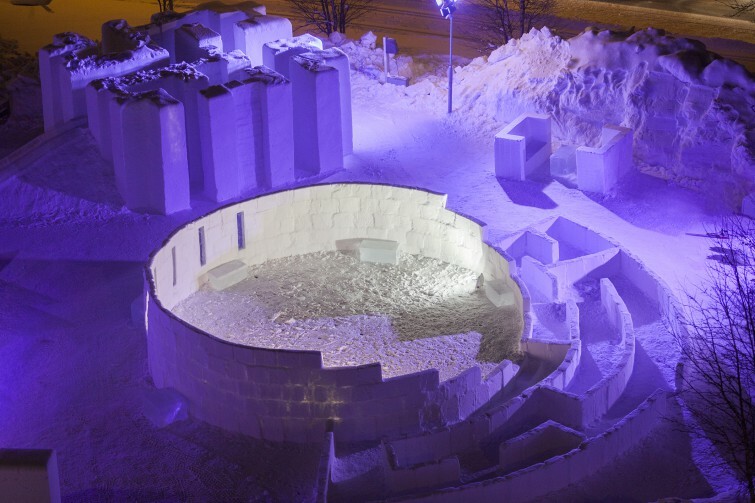 In the end of January, Christian Strömqvist and Karl-Johan Ekeroth of PinPin Studio was commissioned by ICEHOTEL to design the second annual winter playground for the Kiruna Snow Festival in the city center of Kiruna. 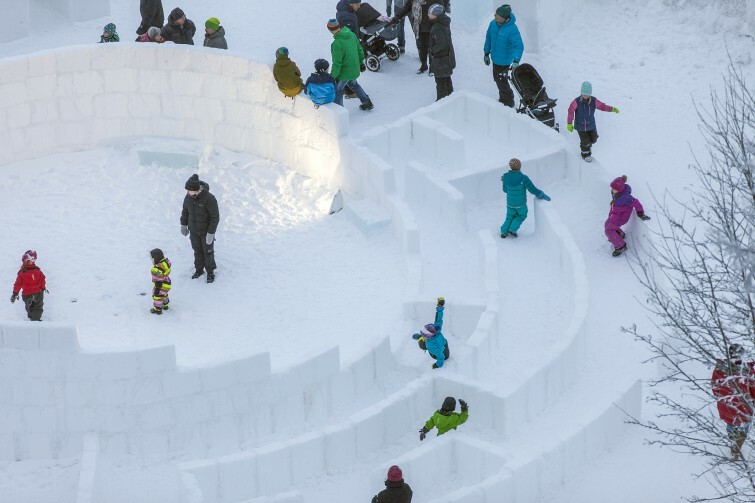 Together with ICEHOTEL, Attraktivare Kiruna, Tekniska Verken and pupils and staff from Hjalmar Lundbomsskolan, the playground was built in less than a weeks time. 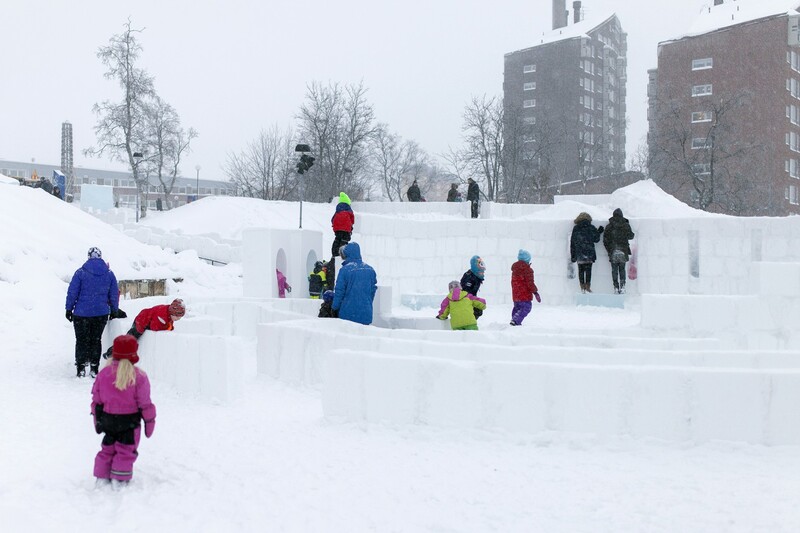 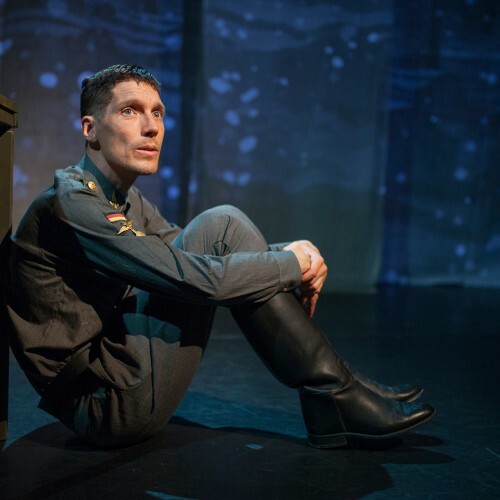 Before it melted down in the spring, the winter playground of 2015 was a huge success locally as well as for all the visitors that every year travel to swedish Lappland to experience the exotic and snow covered landscapes of the northern most parts of Scandinavia. 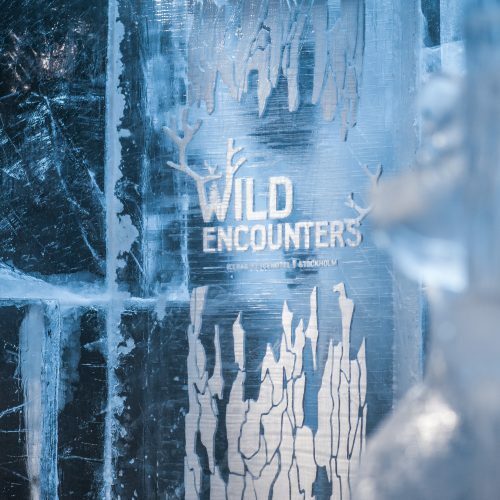 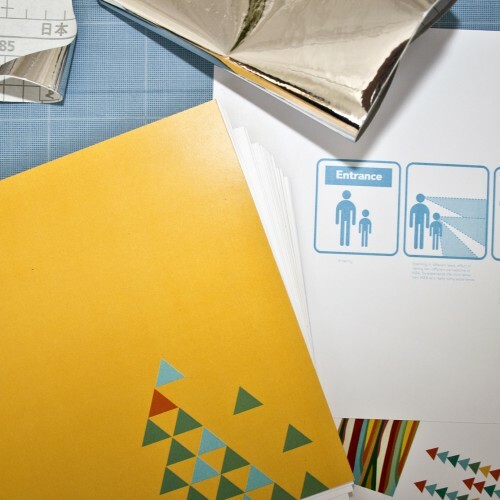 This year returning visitors will not be disappointed. 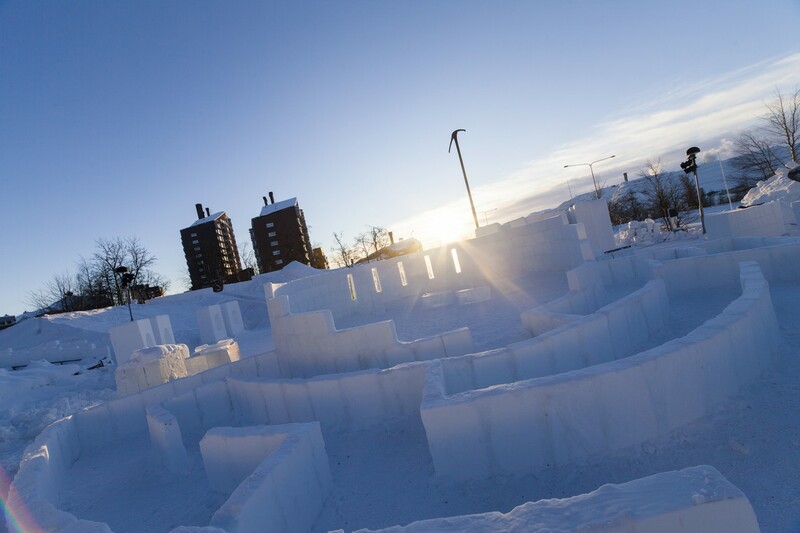 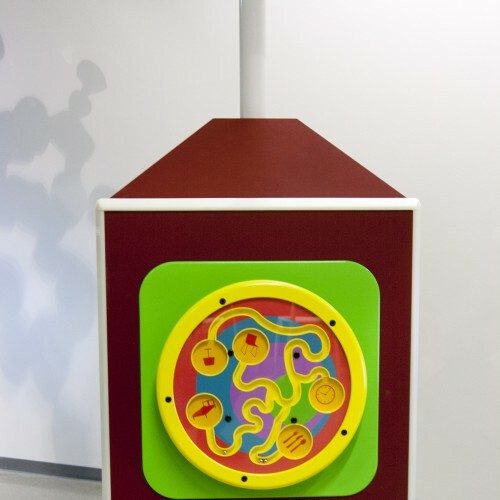 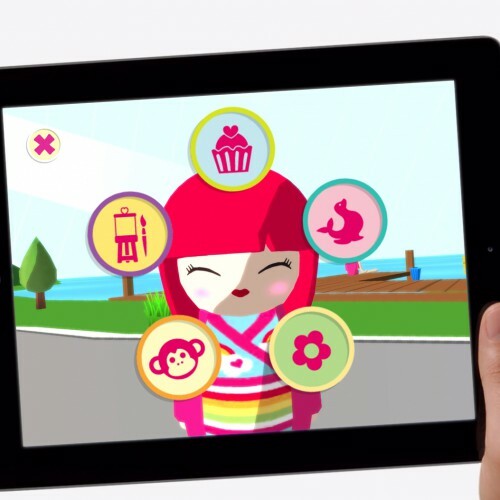 Among other activities, the 2016 edition of the winter playground features two different types of mazes. 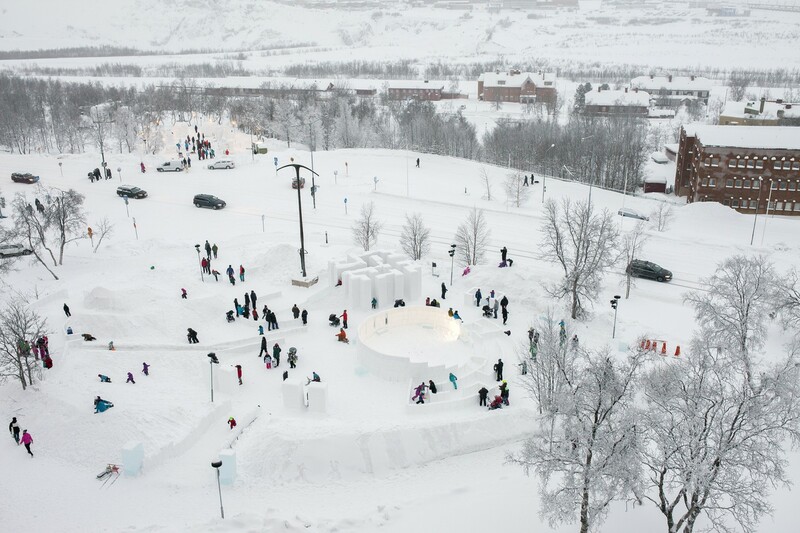 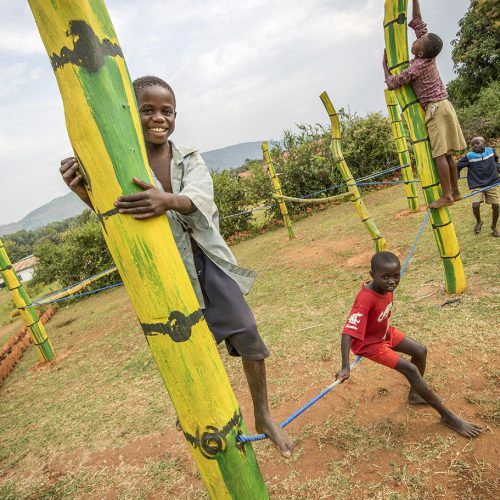 One that is three meters high, from which you exit with a slide made out of ice, and a lower one that ends up in a circular stage where children and adults can perform or just sit down and have a rest. 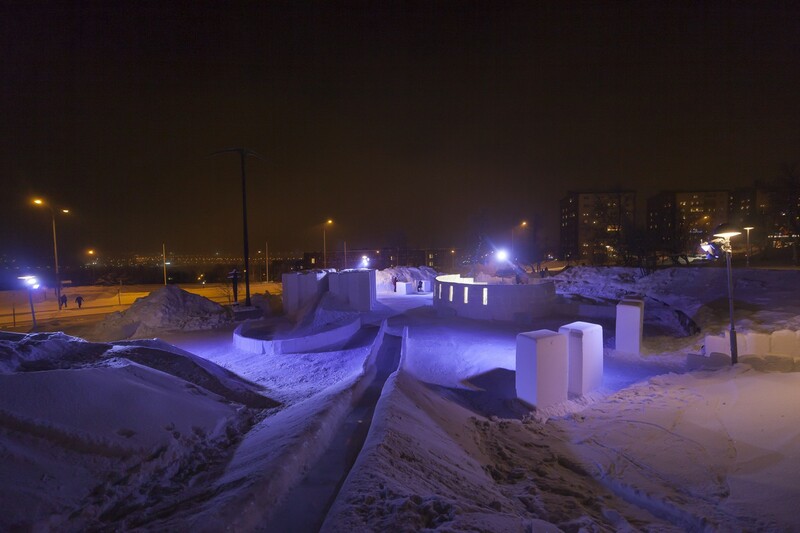 The visitors can also enjoy a bigger – 15 meter long – ice slide, or just climb up any of the snow hills that are surrounding the playground.